Be updated and get cool information about kendo. How would you do that? There are many ways to do so. If you subscribe to the Kendo-Guide.Com RSS, you will be notified via email or whatever the method you chose to get notification. Please read more about the RSS here. This is issued by me usually twice a month. One is at the beginning of the month. I write thoughts and trends about kendo to help you with kendo studying. The other one is around the middle of the month. This will keep you updated with what is going on with Kendo-Guide.Com site. 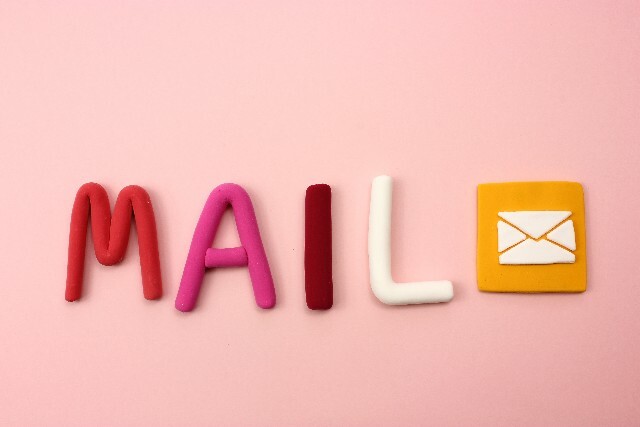 You might get more than 2 newsletters when something special is going on. By subscribing to the Newsletter, you will be a member of “free” kendo study group. You will get access to tons of videos of kendo instruction videos. You are more than welcome to leave questions there. Once you subscribe, you will be notified when a new video is ready for you to watch. There is a Kenod-Guide.Com Facebook Fanpage. On this page you will get updates from Kendo-Guide.Com website and share moving articles that I find on the website with you. 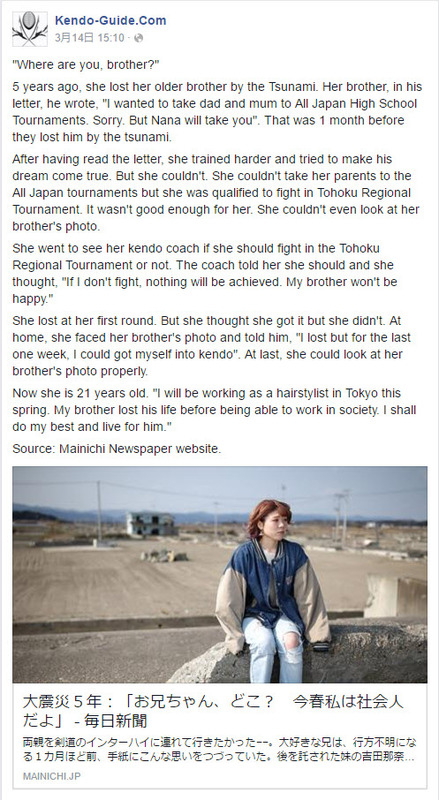 Snap shot of a brief translation of a girl kendoist who lost her older brother, also a kendoist, by the tsunami in 2011. As you know twitter is a great way to keep in touch. This is fast and real time. I often share thoughts quite often as well as all updates and good stuff. Updates more often than facebook. This service started at March 5, 2016. 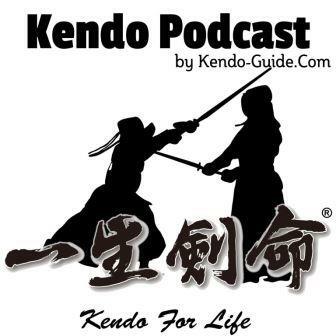 Requested by some friends and thanks to the supporters through Patreon.Com, I started Kendo Podcast. This is more laid back and easy going broadcast so you can listen while you are driving, cooking, putting dishes away and whatever! Think this as a conversation with your kendo mate over beer or coffee. I can share a lot through podcast so I am so excited about this! Hope you will like it too! Thanks to many supporters through Patreon.Com, I can create multiple contents such as written, video and podcast. Planning, creating (recording/writing), editing and publishing takes time and a lot of efforts. And I am doing everything alone. 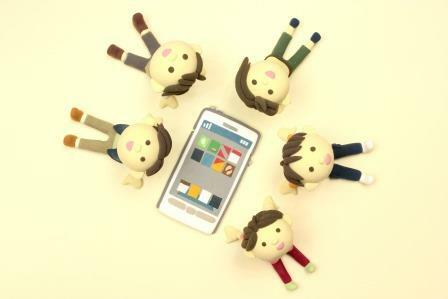 Supporters will get special contents for only for supporters and also exclusive privileges. This is not necessary but will help me a lot. Please visit Patreon.Com for further information.